Thing Trunk have released a limited time special event for their card-based action-RPG Book of Demons. Online play is one of the most frequently requested features among the community, and Thing Trunk have been experimenting with ways to implement multiplayer without rewriting the game’s engine. The result are Online Battles, a competitive mode where players kill enemies to send them to their opponent’s game. These enemies appear as specters that deal damage, but don’t count to the overall number of monsters killed. The first player that can kill all the enemies in the level (excluding specters made by other players) wins the match. You can read more about it here. This is a limited, experimental event that will run until the 13th. 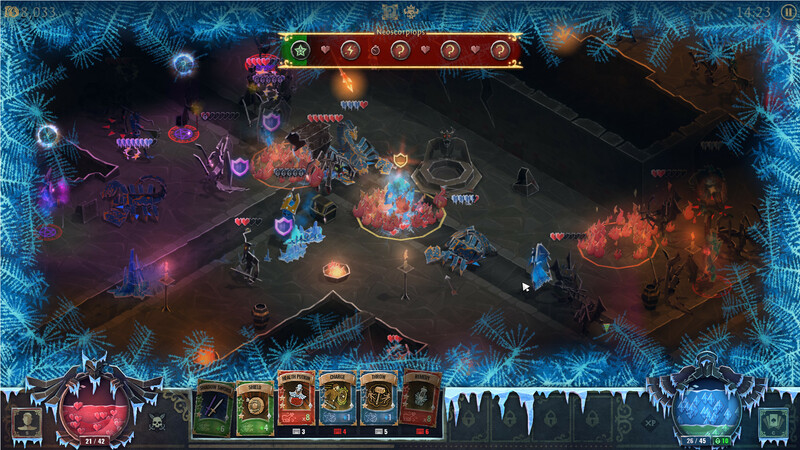 Book of Demons is now available on Windows PC and Mac via Steam and GOG for $24.99.